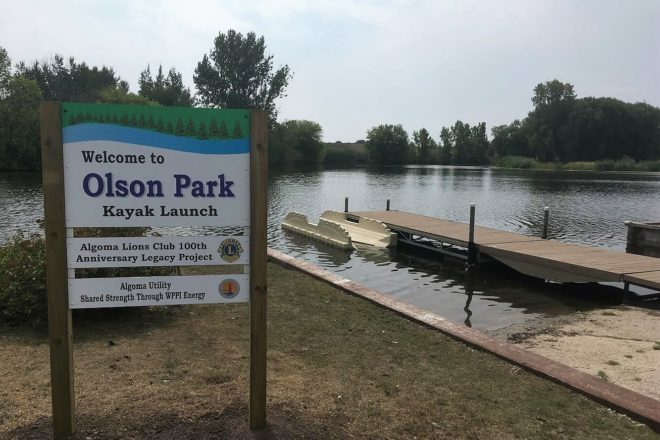 The public is invited to ribbon cutting at noon Aug. 30 for the newly installed kayak launch at Olson Park, N8108 Hwy 42, Algoma. The float-style kayak launch will allow for kayakers, canoers and stand-up paddle boarders of all abilities and experience levels to easily access the Ahnapee River. Users can avoid getting their feet wet as they effortlessly push or pull onto the port. The one-piece floating construction rises and falls with fluctuating water levels. Kayakers will provide demonstrations of use after the ribbon cutting.